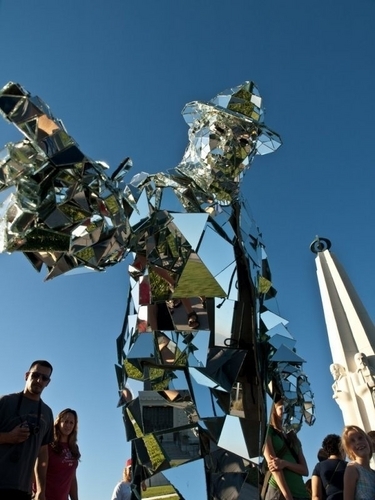 The Mirror Man of Los Angeles. That's no sculpture. That's a guy in the suit who appeared in L. A. . HD Wallpaper and background images in the the worst spot on Fanpop club tagged: cool odd. Cool! I wish I was there to see him in person!